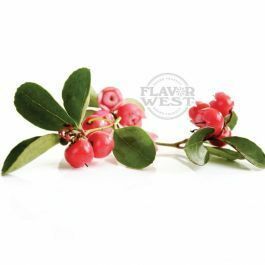 Teaberry flavor is derived from the wintergreen fruit. This flavor is formulated to suit your everyday needs. Enjoy the flavor of minty fresh long-lasting teaberry today. This flavor is very ideal when added to chocolate, cocoa. Type: Teaberry Water soluble Flavoring. Ingredients: Natural and Artificial Flavoring and Propylene Glycol. Usage Rate: 15-20% for E-use. Flavor suitability: drinks, marinades, baked goods, frosting, candy, desserts and more. Specific Gravity: 1.04 No Refunds on Flavoring. If you liked teaberry gum you should like this one very much. Takes me back when I used to buy teaberry gum. Mixed 20% with 3.8v and 1.6 coil.